The 6th Manhattan International Film Festival (MIFF) was held at the Taipei Economic and Cultural Office (TECO) on March 27, 2018. 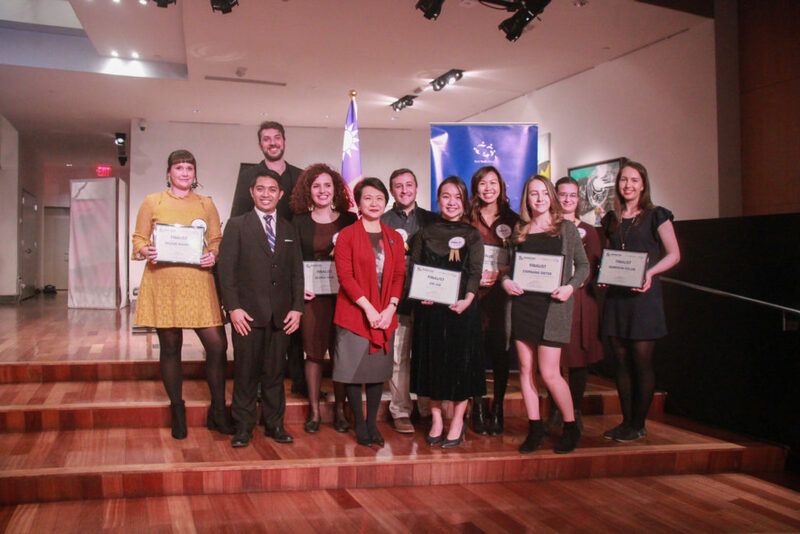 It was well-attended by the MIFF finalists, their family and friends, World Youth Alliance staff and interns, and representatives from TECO. To welcome the guests to this year’s screening, WYA President Lord Pomperada shared a few words. H.E. Ambassador Lily Hsu, Director of the Taipei Economic and Cultural Office, also addressed the assembly by sharing about the wonderful relationship between TECO and WYA. Cocktails were served in the lobby before the screening commenced in the theater. Graciela Awkit and Jenn Bordon hosted the program and the subsequent awarding of the winners. 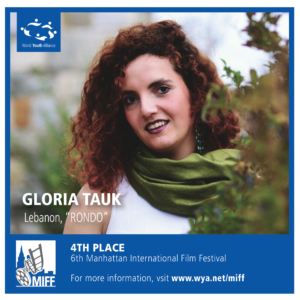 Rondo (Gloria Tauk, Lebanon) placed fourth in the competition. The film is an experimental video inspired by Godfrey Reggio’s works that show the cycle of life through a collection of human portraits in different stages. In reflecting the cycle of life, it displays movement in its different forms, showing the micro movements of the faces in contrast with the fast-motion of modern city life. 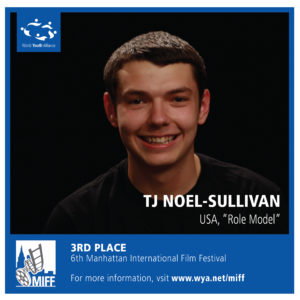 Role Model (TJ Noel-Sullivan, USA) placed third. It is an original short film that focuses on this pivotal decision and questions what it means to do the right thing. It examines the tough choices that poverty-stricken families are forced to make every day and challenge the presumptions we make about those who break the law. 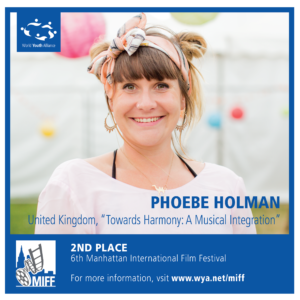 Towards Harmony (Phoebe Holman, UK) placed second. It focuses on the importance of integration with an aim to prove that musicians with disabilities should be given the same platform as able-bodied musicians on which to show their talents because as their performance shows, disability need not be the issue. 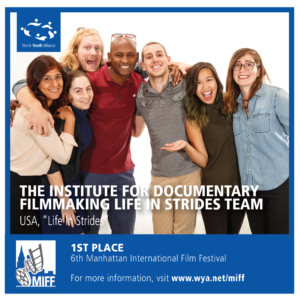 Life in Strides (Life and Strides team from the Documentary Center at George Washington University, USA) was awarded first prize. The film is about Jake, a young man with autism, who has become a champion in therapeutic horseback riding. Now, Jake is put to the test as he enters his first non-therapeutic riding competition, where the circumstances are outside Jake and his mother Joanne’s control. The 6th MIFF finalist lineup boasted young talent from around the world, including Joe Lee (Taiwan, “What I Called Love”), Benjamin Shweky (USA, “Chocolate Cake”), Stepahanie Dieter (USA, “Anthems: A Journey Around the World”), Harrison Fuller (USA, “Sentiment”), Anthony Scalia (USA, “Jimmy Scalia: An Honest Portrait”), and Joanna Jacobs and Margaret Grave (USA, “My Mind Is Medicine Cabinet”). Congratulations to all the winners and finalists! Submissions for the 7th Competition of the MIFF are now being accepted. WYA invites young directors committed to creating films reflecting the depth of the human condition. The submission deadline is October 31, 2018. For submission guidelines, visit www.wya.net/miff.